Wisdom of the Crowd TV show cancelled or renewed for Season 2? When does Wisdom of the Crowd Season 2 start? Searching for the Wisdom of the Crowd Season 2 premiere date? You’ve come to the right place! We constantly research the news to bring you the latest release date for the new season of Wisdom of the Crowd. Don’t miss the release of Wisdom of the Crowd: bookmark this page or subscribe below to get our free release date alerts! 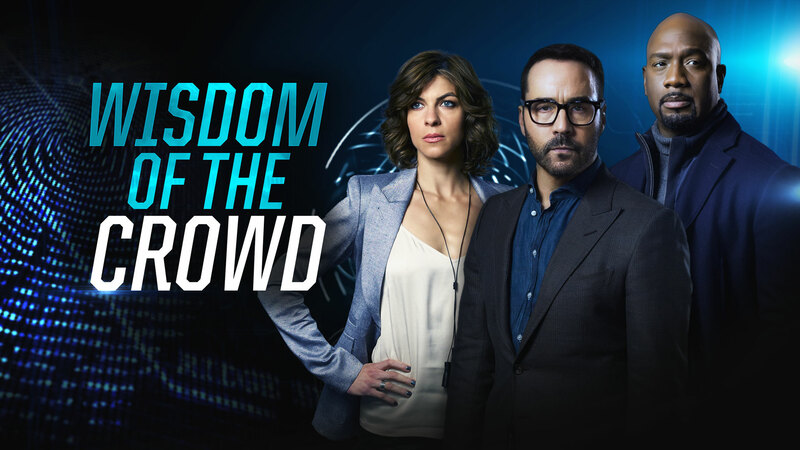 Wisdom of the Crowd Season 1 released October 1, 2017 on CBS. Wisdom of the Crowd is a drama about a visionary tech innovator who creates a cutting-edge crowdsourcing app to solve his daughter's murder, and revolutionize crime solving in the process. Inspired by the notion that a million minds are better than one, Silicon Valley entrepreneur Jeffrey Tanner, develops "Sophe," an online platform for publicly shared information he's certain will find his daughter's killer. To assist him, Tanner recruits Detective Tommy Cavanaugh, the original cop who investigated the murder but was unceremoniously forced off the case. Working with them is Sara Morton, a brilliant engineer whose relationship with Tanner goes beyond professional; Josh Novak, a talented, nerdy-cool head programmer; and Tariq Bakari, a tech genius and expert hacker with issues adhering to the rules. Concerned with Tanner's obsession is his successful ex-wife, Congresswoman Alex Hale, with whom he shares an unbreakable bond over their shared grief. As Tanner taps into the "wisdom of the crowd," his unexpected success fuels his determination to solve even more cases than just the one that's personal to him.